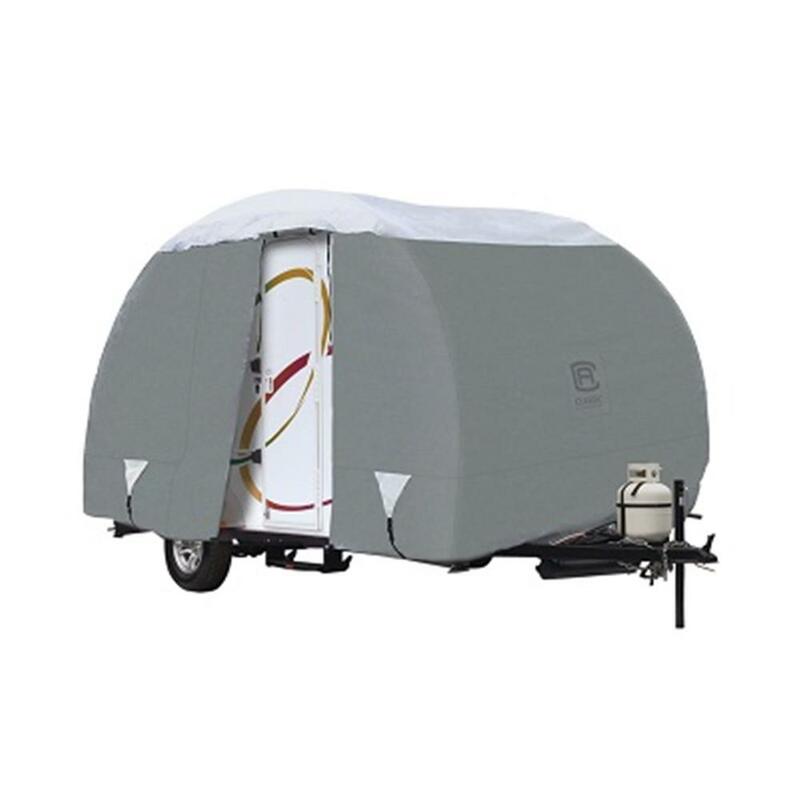 Rain, snow, dirt – nothing gets by this triple-ply PolyPRO 3 Trailer Cover! The well-thought design of this trailer cover keeps your recreational vehicle moisture free thanks to an integrated air vent system and the quick drying nature of the PollyPRO 1 material on the sides. There are a variety of r pod covers for sale on the market today. But the Classic Accessories PolyPRO 3 R Pod Travel Trailer Cover is one of the best travel accessories available. It will protect your trailer from environmental damage all year round. Wind stress? Nicks and scratches? Nope. 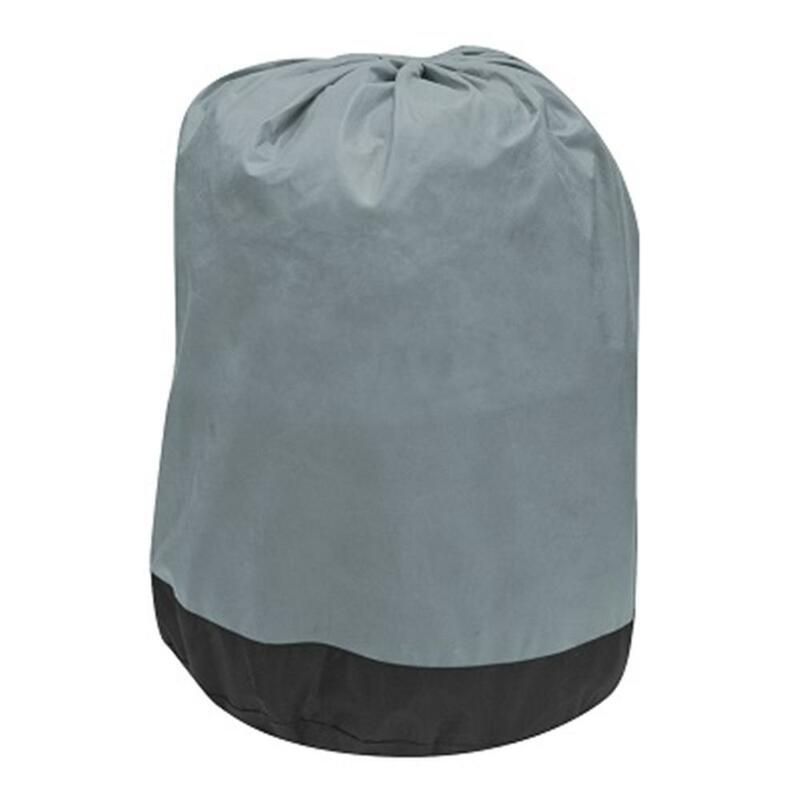 The top of this cover includes three-ply polypropylene fabric that keeps out snow, rain, and dirt and prevents scratches. 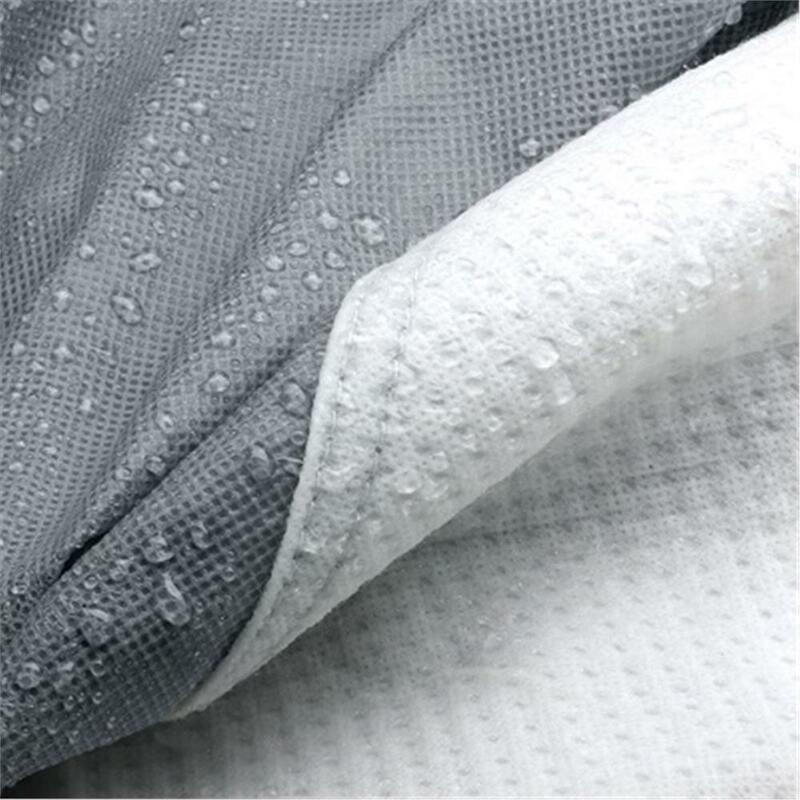 The sides are made from a quick-drying polypropylene and includes air vents to keep out moisture and prevent wind stress. These r pod trailer covers are designed to fit trailers between 16 and 20 feet long, including the hitch. 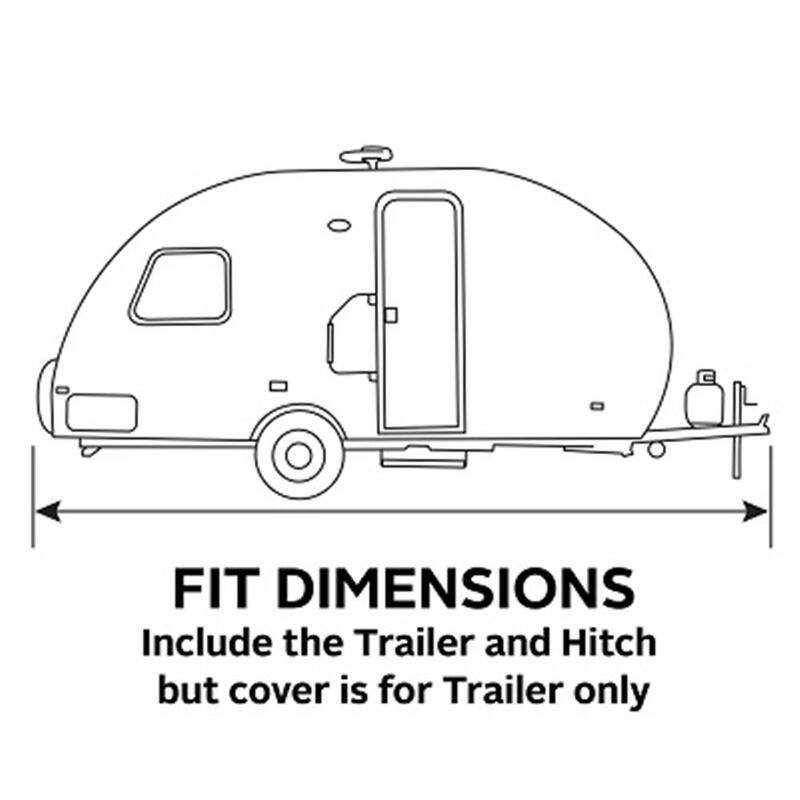 However, keep in mind that the product itself does not actually cover the hitch. The PolyPRO 3 cover keeps them at bay with adjustable front and rear tension panels and elasticized hem corners for a custom fit, and an integrated rope attachment system and the included toss bag mean you don't have to crawl under your recreational vehicle to secure this travel trailer cover. Need access to the door or engine once the cover is in place? No problem! Unzip the panels and get right to it. Storage bag included! Classic Accessories makes a variety of products for the home & garage. It started out as a car accessory brand in 1983 and has since expanded to create covers for a wide range of products, from grills and power equipment to snowmobiles and RVs. Classic Accessories also gives you peace of mind in case you experience any defects with your rpod covers. This product comes with a three-year warranty, and the company will replace the cover if you discover any issues with its workmanship or material during that time frame. All you need to do is submit a claim form online and attach pictures of the defect and a sales receipt. To clean this cover after a long trip, simply apply water using a soft brush. Do not use soap, which can harm the fabric’s coating. A dryer could also damage the product, so make sure to line dry the cover instead. When you are not using your cover, you can simply pack it up into the provided storage bag. Thanks to the included toss bag, you don’t need to crawl under your RV to put the cover in place. Zippers provide quick access to both the engine and the door of the RV – even when the cover is secured.